- For the first time in a competitive game, I appeared with the captain's armband on. Mister made the decision before the match. For me that’s a very big responsibility. The game was hard before the first goal. It was important to score first. Nem, owing to his individual brilliance, made a great run and scored a great goal - probably the most beautiful of today’s three goals! It is not easy to play once in three days, especially after such an emotional encounter with Braga, which we gave our all. I'm glad we won. If we recall our first-round meeting with Olimpik, conceding a goal was not a challenge, the challenge was our playing for 80 minutes being short-handed. This time the opponents performed very well, especially in the first half. Olimpik put pressure and shot on target many times. The guys tried hard, but class is class. 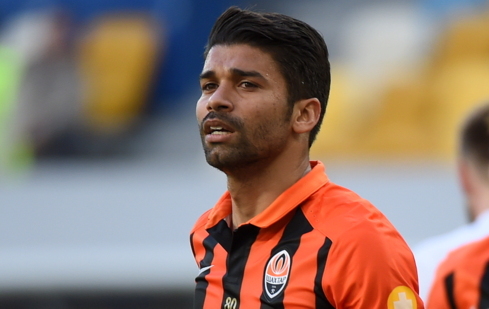 Eduardo: In the second half, Mister replaced some players - he has given everyone the opportunity to play. - We knew it would be a difficult match against strong team. The first half was aggressive and difficult. Overall, we were ready for that, but we lacked scoring a goal to feel more confident. In the second half, Mister replaced some players - he has given everyone the opportunity to play. That's good, because the guys have shown that they are worthy of going out and winning. Our pace is hectic now, it is not easy to recover. After the Europa League, it is hard to switch to the encounter attended by some two or three thousand people. Ad the match taken place at the Donbass Arena, at least 30 thousand people would have come to support the team - and this would be our plus. In general, the game was not easy. 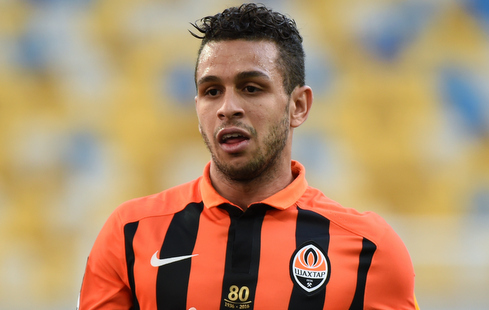 Wellington Nem: As for my goal, I actually practise such shots at every training session. - We expected the game to be difficult enough. And so it happened. In the first half we failed to score, and it did not add confidence. And after the first goal we stepped it up, managing to score two more goals later. Just because of that we won. As for my goal, I actually practise such shots at every training session. I always wanted to score like that, and today it worked. I want to congratulate the team on the win and to dedicate this goal to Shakhtar and my family. We have a lot of difficult matches ahead, but we try to approach them step by step. Now we we are facing a meeting with Oleksandriya. That’s the game we have been gearing up for.